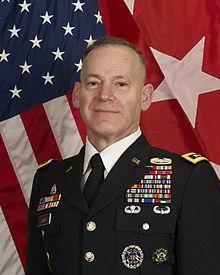 SEATTLE, Oct. 09, 2018 (GLOBE NEWSWIRE) — PowerLight Technologies (formerly LaserMotive) a pioneer in optical power delivery for industrial and military applications, today announced that Lieutenant General Stephen Lanza, former Commanding General of the United States Army I Corps based out of Joint Base Lewis-McChord in Washington, has joined the company’s Advisory Board. PowerLight recently introduced its patented optical solution that delivers power over a beam of light in either free space, or through standard fiber optic cables. The new technology can be deployed for air, ground and undersea applications, and is aimed at industry sectors including Aerospace, UAVs, Telecom, Disaster Response, Border Safety, and more. As such the technology is ideal for military and defense-grade applications.